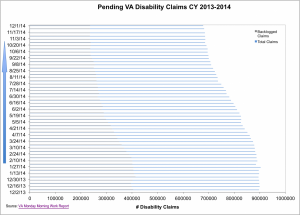 Today the VA reported that the backlog increased by more than 700 claims last week while the total number of pending disability claims decreased by almost 4,000. In total, more than 515,000 veterans are waiting on a disability claim decision from the VA, with over 235,000 veterans waiting for 125 days or more. With the backlog down almost 63% since last year, the VA has made commendable progress on decreasing the backlog. However, with the loss of momentum over the past few weeks, VA has a lot of catching up to do to meet its goal of eliminating the backlog completely by the end of FY 2015. To get the backlog down to zero before this deadline, the VA will have to process more than 5,600 claims per week. 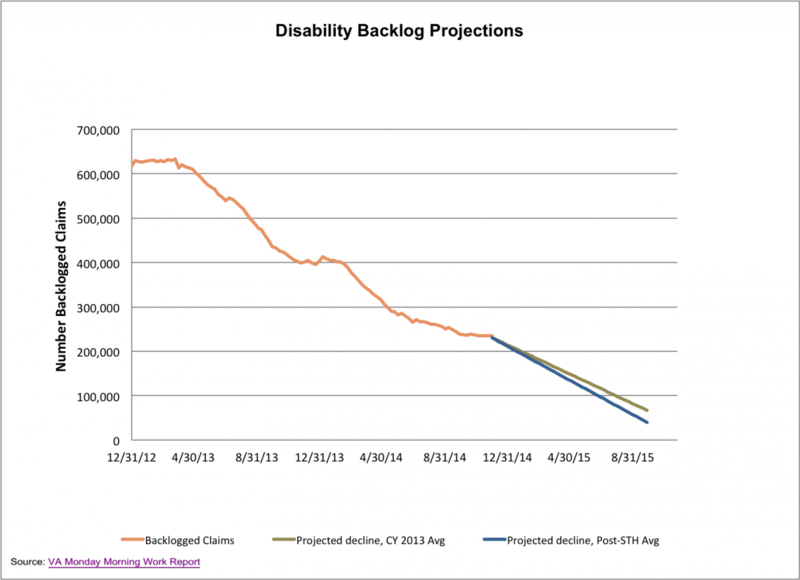 The graphs below show the change in total pending claims and backlogged claims since last year, as well as the projected decline through 2015. 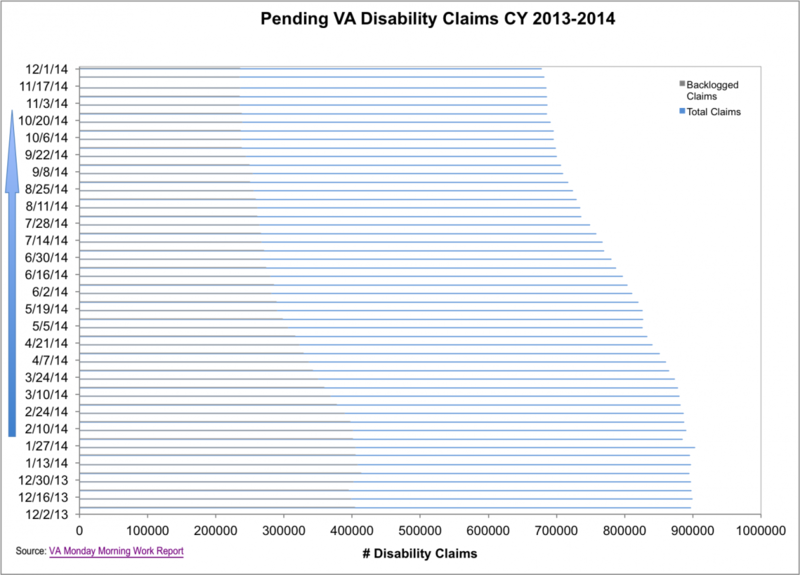 As we approach the holiday season, it is even more important that we understand the recent slowdown in processing disability compensation claims at the VA. Although there was a significant jump in reducing the total number of claims over the past week, both the number of backlogged claims and appeals increased. With more veterans waiting longer for backlogged claims or appeals, VA is in even more need of a detailed plan moving forward to get claims processed quickly and efficiently. 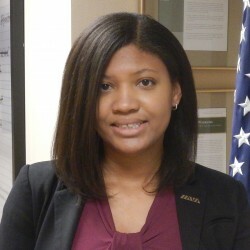 At the beginning of 2014, IAVA released the 2014 Red Tape Report, which included multiple recommendations for improvements to the VA disability compensation system. 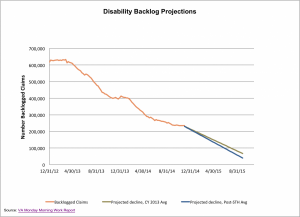 While VA has made great progress in tackling the backlog, we will need continuous improvements and process evaluation to get the disability claims backlog down to zero. Now is not the time for progress to slow. Now more than ever, we need to regain momentum to ensure that our veterans and their families receive the benefits they have earned.